We enjoyed having our November Rotary Seniors with us at our Tuesday meeting. The seniors selected for the month of November are Mariah Pallister and Sarah McCormick. These ladies did a great job speaking to us today sharing their activities and their plans for the future. These seniors will be eligible for the Rotary Scholarship awarded at the end of the year at Rose Cutting. 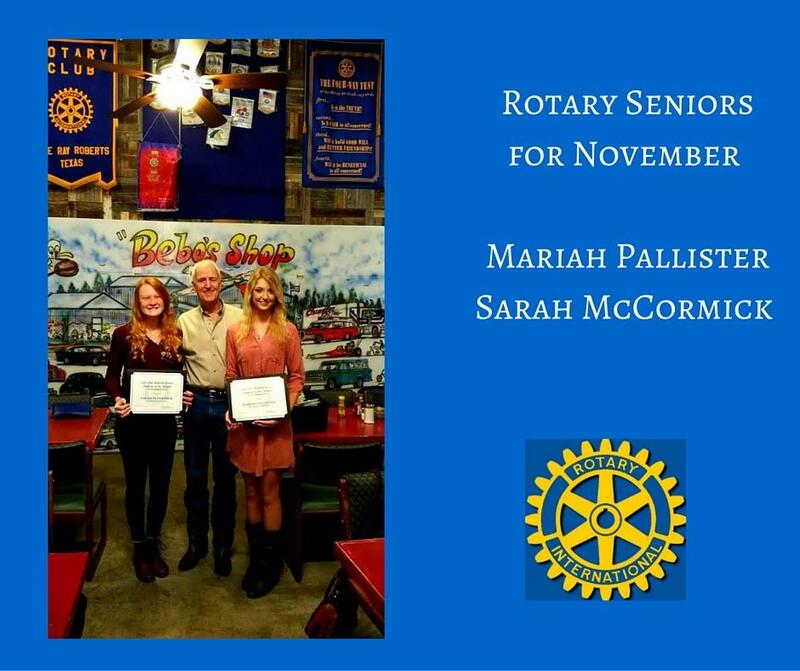 Congratulations to Mariah and Sarah for being our Rotary Seniors for November!